How does your Spartan stack up against the best of the best? 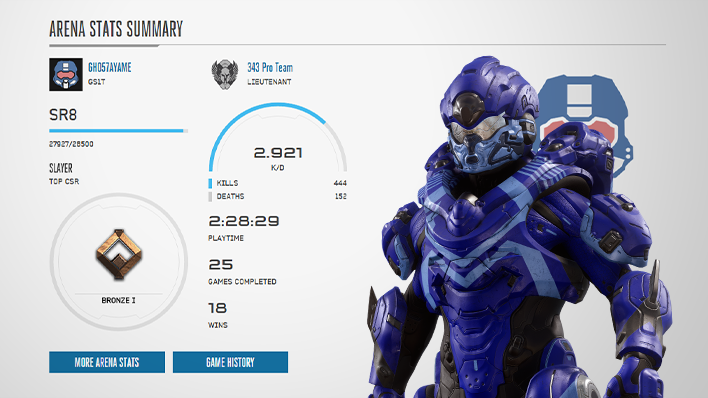 Analyze your personal stats and data from Halo 5: Guardians Arena multiplayer to breakdown exactly where to improve your game, and know exactly what you have to brag about. Knowledge is power. Power is victory. Warzone is the biggest Halo multiplayer experience to date, and no good soldier enters the fires of war without carefully analyzing every precious data point possible to know where they can gain the edge. 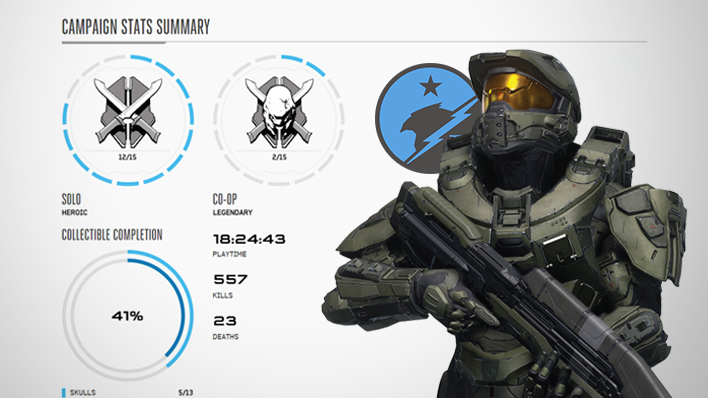 Explore your stats from the Halo 5: Guardians Warzone multiplayer experience and build a legendary career worthy of the UNSC’s highest praise. The Halo 5: Guardians campaign is where YOU decide the fate of humanity, fighting insurmountable odds against incredible opposition. 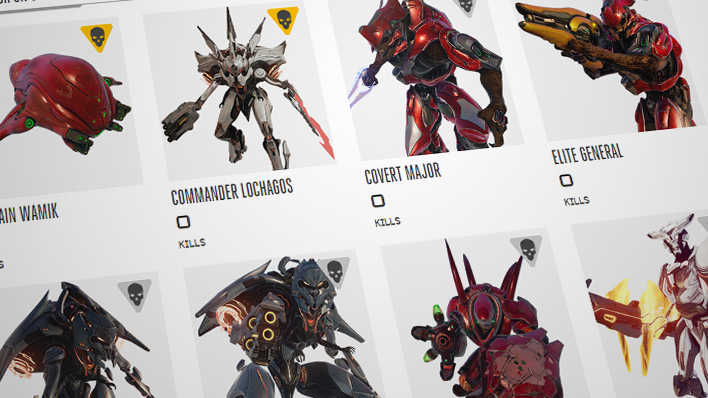 As you fight for the fate of the Halo universe, you can track all your progress right from here. Celebrate your victories. Learn from your defeats. Spartans never die, because they always value gathering proper intel on their upcoming missions.